Unbelievable: How to Get More Comments On New Blog? Even who have started their blog long time ago don’t see much comments on their post. This post will surely help you to get more comments on new blog (0r) any blog. Why & How to Get More Comments On New Blog? Blogs are meant a place of discussion. Where different kind of people discuss some specific topics which is why gaining comments is one of the most important thing for a blog after traffic. Comments show how active the blog is and what kind of audience it has. In simple words, comments are life of blogs. It allows readers to interact with each other and keep the conversation going. If you are smart enough to see, sometimes comments of your readers can give you ideas for your blog and what topics you should cover in near future. Another hidden benefit of having nice number of comments on your blog is ease in gaining guest bloggers and advertiser because they are looking for active community. As for a new blog, comments can play a vital role in making a blog popular and make people to come back again and again. Now allow me to show you some amazing ways to get more comments on new blog and every new post that you publish. Don’t forget to read How To Get Traffic To A New Blog ? How to Get More Comments on New Blog ?? The best way to get more comments on new blog is to have relationships with other bloggers. This is because when you share your content with them, they would love to tell you how good or bad you were and what they though about your words. Calling your reader to action is the best way to make them do anything you want. This can be subscribing to your blog’s feeds, newsletter or commenting on any post. Readers are mentally ready to exit your blog as they reach at the end of post, but if they are told to do something, they stay and follow. But don’t use the traditional boring ways for doing so. Instead, tell them to do so in a fashion hat catches their attention and they feel like someone actually told them to do something. Call to action works more effectively than anything else. Few examples of Call To actions are. Did I missed any point? What you think about this post? Did I missed any example of call to actions? Let me know in comments.. Encourage the commentators on your blog by awarding them? You don’t have to give them trophies or fat pay checks so they become happy and keep commenting. Follow tips below to award commentators (in WordPress). This really works and will help you to get more comments on new blog (or) any blog. Special Tip: Give some things/freebies to top commentator of the month. Like ad spot or a backlink for one month. Creating killer content is obviously must for all kind of blogs at any age but is way too important for a blog that was just born. If you want anyone to show his thoughts about something in world of blogging, you have to force him. And the best way to force is not by telling them to, but by creating killer content and then using the call to action at the end of the post. A perfect article can force thoughts to come out as words. Below are few articles to help you write engaging and killer content. 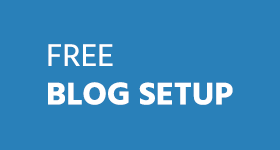 4 Secrets to Create Killer Blog Posts in No Time! This is something that most people don’t take as serious option. This works in pretty simple fashion. When you comment on other blogs, it is too obvious that comment moderator will surely visit your blog and may comment too. But any reader of that blog who clicks on your link inside that comment just because what you said sounded interesting to him is a definite commentator at your blog too. Always share, promote and comment on your fellow bloggers’s content before asking them to leave comment on your blog. I dint recommend guest blogging here in this post. Because if you are a new blogger it won’t work good for you. So, just focus more on building a strong network by blog commenting, writing great stuff and award commentators using above tips. I’m sure these tips will help you to get comments on new blog or any blog. Have I missed any other way to Get More Comments On New Blog?? Take your action now by commenting below. These are awesome points you covered bro.. expanding social network and joining blog related communities will take to at its peak level. This is really a great article. My new blog doesn’t get engaged with commentors. But always feel better when I receive a single comment with positive. I was worried at start but it goes on well right now. I just spent a time on your article to learn why no comments on my blog? You clearly gave me the idea thanks for sharing. Hope I implement all these tricks in my blog and get more comments like you thanks. I just loved the way you have devised the redirect system after the comments submission. Really a very creative approach to get more subscribers and fan following. Even without it I would have found the subscribe button and follow your site. Your website contents are all very informative and up to date. What is there special tips how to get many quality comment ? excellent tips – judging by thenumber of comment they work really well! Great tips my friend. I’m a regular commentator on a lot of blogs and you’re right that over time a relation is formed with the blog owner. A lot of times after I left a comment on a blog I was reading the blog owner came back to my blog and he actually left a comment on one of my posts. I’ve also installed Top Commentators plugin on my own blog to test it out. I’ve noticed you have it installed too. I want to ask you, did it lower your bounce rate after installing the TC plugin? And have you noticed an increase in comments? Thanks for the tips Ammar, cheers. Commentluv, top commentators widget, personally mentioning it in article end can help in increasing comment count for the blog. Thanks for the great tips Ammar! Great share. Thanks Anmar for the motivation. I am positive that I can. I am struggling in getting more visitors or commentators to my blog and I am obsessed in looking for great information to take my worries away. I used to comment on other blogs but I forgot to implement some of the tips you stated above. I think it’s really a good start for me to attract more visitors to my blog using these tips you have. Thanks! Patrick, I’m sure if you follow all the above tips you’ll surely attrack more commentators. A very comprehensive article.I least bother to comment on others blog.thanx again for so briefly for commenting on others blog? can you tell me how to manage a post daily ,in case of single owner of blog? i am the sole owner of my blog and its hard to manage daily post of good length on some topic. Thanks for suggesting “Giving something free”. It will surely work. Do you know how to allow comments just for gmail,yahoo,hotmail services and blocking rest of the emails as i am getting spam comments. I am using Akismet. Welcome, no idea. I’ve not done that. You can use GASP plugin. Thanks for suggesting GASP. Going to check it! Your post is really very useful for newbie. Am blogging for two years. But within a year, you got good traffic rank in alexa. All the best Ammar. how are u ? you discussed the best topic of a new blogger . But I have a question How to increase main visitor (core ) and FB like ? To be frank, you overthrew your topic to a much interesting and beneficial article which is a powerful Blogging Guide itself. Its more than getting comments. Nice Article Ammar Ali, I just started a blog and this article is really helpful for me as i understood the value of commenting. I also installed comment Luv plugin which will work like a charm for people to comment more and more. I’ve visited your blog. Looks great! All the best. I’d recommend you to use a killer Call To Action message at end of your post. Don’t forget to install social sharing plugin. I’d be glad to share your content. Thanks for your suggestions Ammar, I will add what you said I am still in a process of creating my new blog. BTW any plugin suggestions for related posts? Delivering the best possible message in your post will make people curious to comment and share their reviews on your blog post. Great content speaks itself. Good to see your post. comments gives us feedback that what reader want to tell us. but sometimes they spread spams buddy and we can also increase our comments by changing nofollow to dafollw. Right, CommentLuv is best for this purpose. I would really love to see people comment on my blog. But people are not coming. I even used Comment love but, it resulted in spams and no good comments, so I removed it. No comments really. I write everyday. I would like you to visit me also. It’s really bad not to see comments on website for which you work day and night. Are you following first point? Creating strong network with other bloggers in your niche. This really works. 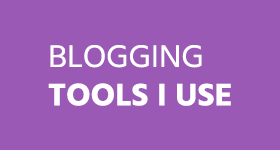 Leave comment on other blogs that are related to your blog. Yes I accept all the above points mentioned. One needs to follow all the above mentioned points consistently to get more comments. Another benefit of having lots of blog comments is also keeping your pages “fresh” which Google encourages, letting the search engines know that your content is still relevant and useful. Keep up the great work! I’m thinking about putting comment luv on my blog too. You should use Commentuv from now. Can I help you in this? Btw, you’re going to use free or premium version of commentluv? This is my first visit and I am very pleased to read your simple but strong writing. I think honesty is the best policy to get more comments. If you really write your posts from button of your heart, then people will also response on your blog from their heart. Not only that they will come to you again and again to get some heart touching things. i read wat you’ve written and learnt alot thanx for this information! i’m a new to blogging but want to imrove my blog so you can visit to it & let me know wat changes i should do there! 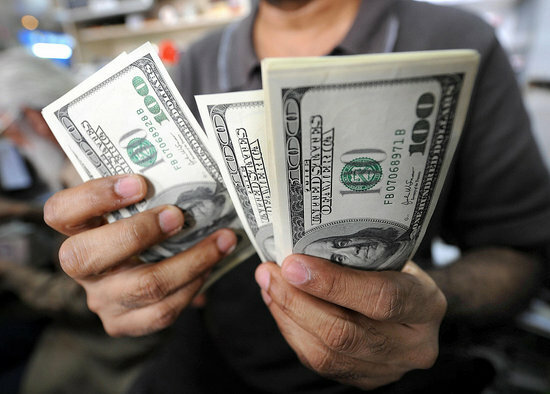 It was great post buddy, as my blog is new I ll try implementing all ur tips and let me check if there is any difference ! Thanks again ! hey Ammar, call 2 action and awarding commentators is an effective way to boost your blog’s comments, even when you’re just starting out. Awarding commentator is the “best” way to get comment on new or any blog. I’ve not seen much blogs that disable comments after a certain time. You are absolutely right! I try to have a good call to action and am working to build a strong network independent of Google. So far, it’s working. I post, comment, and love comment luv plugin because it’s really an awesome reward mechanism, as you mentioned. Great article! I have shared! Comments are really essential in order to have an active interaction with your readers. Sometimes, replying actively to comments is enough to keep the commenters from giving insights in every post. Active interaction is very important. Asking questions in comments can also help to get more comments! Thanks for sharing cool tips, now a days comments are the part of blog growth and its useful to find the reputation of blog, good blogs always gets lots of comments , so comments are important for every Blog. if you are not getting comments that means you are doing something wrong. Being a newbie may I kindly ask a doubt to you veterans.. Lets say a post has got more than 100 shares on social media and has only 3-4 comments does that mean you are doing something wrong. And from what I have seen these days ordinary men like to share on social media rather than comment because they are too busy.. If you closely analyze many blogs most of the comments are from bloggers and not common man.. Yes, it is definitely a good way to build rapport with fellow bloggers but that doesn’t show the popularity of your blog.. If are content is more popular than we can get more and more comments to a new blog. But to do that we have to build a strong presence in social media which is generating a lot of traffic now a days. Comments are the backbone of the blogosphere, we all love to have comments.I really believe in building relationship and there is no way better than to start with commenting on other blogs. I make sure that Comments should also makes sense and should be in context, I really dislike vague comments or which don’t any meaning or value. Rewarding the best commentator is the thing which I am doing by using the commentluv plugin. I’m also rewarding blog commentators by placing “Top Commentator” Widget in footer by CommentLuv. It really works well! Great post Ammar. I found great tips in you article. What are you think about DoFollow plugin, I also install it. I think dofollow blogs attrack more visitors. No one likes to make 2/3 step effort just to comment so keep everything ready. >> Reply to every comment and appreciate their participation. Nice post Ammar! Yes the comments of the post will keep it updated. Am saying that there should not be any registration process or CAPTCHA data entry verification for the readers to left comment. If so, they would get irritation n leave the blog without commenting. Thanks for sharing the useful post, keep writing! Thanks for sharing this point. I have CAPTCHA. I’ll never leave comment on any blog that uses CAPTCHA. I like section 4 of point #3. I have been analyzing a plugin to handle this process. I’m still thinking how it could do the random selection or selection based on some criteria. Hope this will be exciting. Comments ARE the life of a blog, and if you have a new blog it surely isn’t easy to get comments unless you make efforts and do the things you mentioned so well in your post. Once you have built a strong community or network – then you really don’t have to bother about these Google updates or how your site ranks etc., because these relationships are what really work. Your readers are always with you, through thick or thin. Installing CommentLuv is another attraction, not for the backlinks but for sharing or visiting each other’s blogs. I agree about awarding your top commentators or recognizing their effort through various ways mentioned. 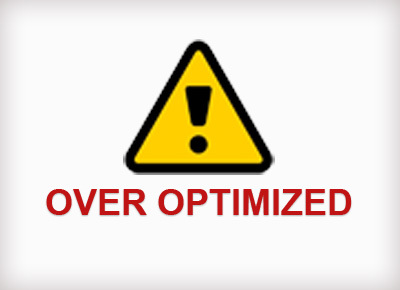 Or sometimes giving them those extra backlinks or mentions in your post will only encourage them further. Once you create strong network around your niche. You wouldn’t have to worry about Google Updates. Thanks for sharing your views. I’m glad you liked the post. 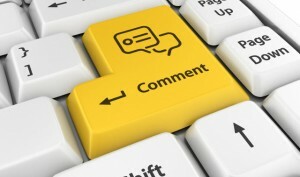 Thanks for sharing great article about how to get more comments to your blog. This is very useful article for online review readers. Keep it up such a nice posting like this. This is one of the very important point to notice which is giving you those all tips which is good for attract traffic for your every new post beside that you should have those kind of stuff in your blog which work great for every readers. Comments are very important for every new blog. 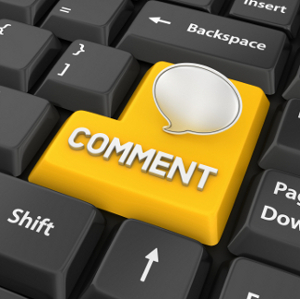 Comments are the one, which helps us to get feedback from other bloggers and readers. Really Ehsan Ullah of GuideAndNews.com has been top commentator on many top blogs, and now every blog post in his blog have more than 100+ comments. BTW, thanks for sharing this article! Combination of all above points will help all new bloggers to get more comments on blog! This is nice post for all newbie bloggers who like to get more comments. :-) Actually, it is a hard thing to get more comments for NEW blogs. But this step by step guide will be helpful to get more comments even new blogs. Specially, “Give some things/freebies to top commentator of the month. 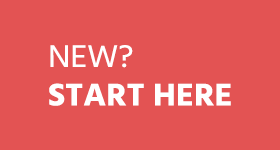 Like ad spot or a backlink for one month.” is a great tip. Giving something to top commentators of months really helps to get more comments. This is really nice before reading this post I always wondering why people comment a lot on other’s websites and blog and here is the answer,really thanks for this, tell me one thing is there any benefit of commenting on blogs who has no page rank but good Alexa ranking ? Don’t comment on other blog just to get backlink! Instead using commenting to get exposure, traffic and to brand yourself! Yes there is a difference between them. Comment is where you share your views. If you add your website link in the comment then this would be backlink in comment. Well Said Ammar and good explanation for back link and comment. 4 Secrets to Create Blog Posts in No Time! Why You Should Develop a Blog?